Fascinating, multi-hued musical performances await now through December. They’re offered by the Omaha Symphony (OS), Opera Omaha, the Vesper Concerts, Omaha Chamber Music Society (OCMS), and an astounding quantity from the UNO School of Music. Among Symphony events are two fresh concertos, one for violin and jazz trio, the other with the tuba out front. Forthcoming are famed symphonies by Dvořák, Mozart, Tchaikovsky and Prokofiev, along with always popular works by Richard Strauss and Rachmaninoff. Two young conductors will be on the podiums and UNO School of Music Director Washington García makes his Symphony debut. Musicians from the Symphony appear for a Vesper concert with concertmaster Susanna Perry Gilmore in a Vivaldi concerto. And the Saint Louis Brass resounds with American music in the same series. OS artists also turn up in an Omaha Chamber Music Society event at Gallery 1516. The number of events at the School of Music looks amazing: 36 through the end of December. Taking the spotlight are celebrated flutist Carol Wincenc. Also a chorus of students from Lithuania join local ones; and four visiting pianists in recital—a real plus, given that we have so few such recitals in Omaha. This month jazz musician, conductor, arranger Matt Catingub hangs with the orchestra for a sixth time—now as composer as well as pianist in “Three Shades of Blue, Concerto for Violin and Jazz Trio.” He wrote it in 2014 to feature violinist Amy Schwartz-Moretti. Also on hand is her husband, Catingub’s regular drummer, Steve Moretti. On that same concert Thomas Wilkins wields his baton in Richard Strauss’ “Till Eulenspiegel’s Merry Pranks,” a jolly romp depicting a rascal who got away with lots of things but couldn’t get away from the hangman. Dvořák’s sometime serious, sometimes folk-like Symphony No. 7 rounds out that September concert. In October Dr. García solos in Mozart’s 20th Piano Concerto, often described as Beethoven-like. No wonder Beethoven himself praised it. More Mozart in this Wilkins-led Symphony Joslyn concert: the good-humored “Jupiter” Symphony. Masterwork Series-wise that same month 29-year-old Teddy Abrams is on hand (“one of the bright lights of his podium generation” Chicago Tribune) to conduct Tchaikovsky’s joyful Symphony No. 2, nicknamed “The Little Russian”; Pyotr Ilyich incorporated Ukrainian (“Little Russia”) folk songs. On the same bill is Fabio Bedini, whose credits include being a finalist in Van Cliburn Piano Competitions. Guess what he’ll play! Rachmaninoff’s Third, one of the two concertos that made Cliburn a star in the U.S.S.R. and everywhere else during Cold War days. 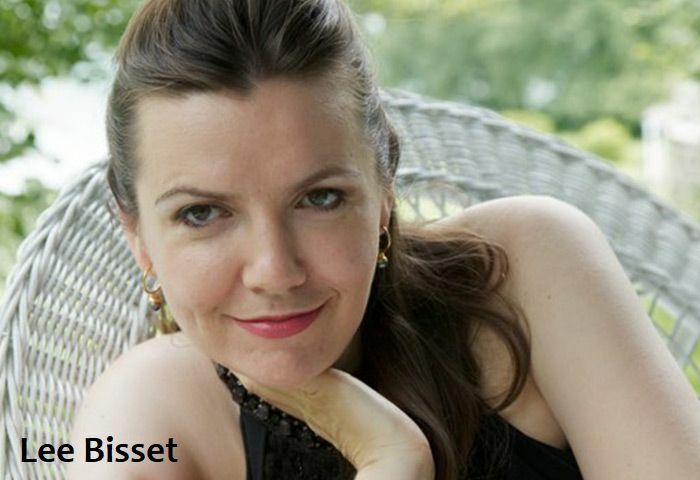 In November, there’s a production of one of Puccini’s major hits, “Tosca.” Lee Bissit (“thrilling tone,” Opera Magazine) has the title role; she glittered here in 2016 as “The Girl of the Golden West.” Also returning with Puccini credits is director Crystal Manich (“nuanced,” “imaginative” and “lively,” The New York Times, Wall Street Journal.) She directed “La Bohème” last fall. Plus the work of scene designer Julia Noulin-Mérat is visible anew, having designed Bartók’s “Bluebeard’s Castle” in 2013. The first performance of the series vivifies Vivaldi in September. From “La Stravaganza,” Susanna Perry Gilmore takes on the solo challenge in one those enduringly delightful concerti joined by five Symphony colleagues. And the red-headed Venetian’s well-known and stirring take on a wild folk dance, “La Folia,” swirls anew. Dancing in, too, are parts of a J.S. Bach cello suite, arranged for viola and played by Brian Sherwood. 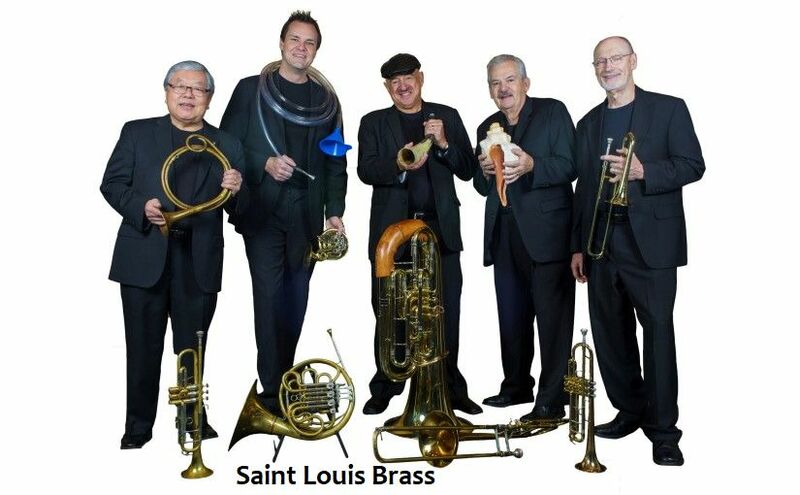 During October, coming up river in the same spirit of joy in the same place is Saint Louis Brass. The five players offer, no surprise, a version of W.C. Handy’s “St. Louis Blues.” More Americana: a suite by 27-year-old John Hobbs, a quintet by Anthony Plog based on Ogden Nash poems about animals, Wayne Scott’s “Divertimento for Neglected(?) Musical(?) Instruments(? )” and Joey Sellers’ medley of tunes made popular by Louis Armstrong. Dances come from by Renaissance composer Michael Pretorius plus a Piazzolla tango. Members of our Orchestra play a pair of trios in an October Sunday brunch event at Gallery 1516, including serving up something by the composer whose name is on the menu at “Bagels and Beethoven.” That’s also the month for a percussion performance at Kaneko in the Eko Nova series. Then in November, there’s a midday OCMS appearance in the Music as Medicine performances in conjunction with the University of Nebraska Medical Center. A time for patients, visitors and staff to experience healing harmonies in a comfort zone. The International Concert Series (ICS) was conceived to create a sense of community. Among those events renowned Grammy Award winner Carol Wincenc (“Queen of the Flute” New York Magazine) appears this month with Christi Zuniga, the Symphony’s principal keyboardist. Their repertoire certainly is international. The music is by two European women: France’s Cécile Chaminade and Sweden’s Amanda Maier, by two Americans, Aaron Copland and Paul Schoenfield and by one Austrian, Mozart. In October, for the same series, “Rising Stars” features the award-winning, internationally renowned mixed choral ensemble Studiam Chorus from Lithuania’s Šiauliai University School of Music performing with members of the Omaha Area Youth Orchestra. Šiauliai is an Omaha sister city. Another evocation of communality. One month later, November, another Grammy winner arrives in the ICS. She is pianist Margo Garrett. She and soprano Kathleen Battle took the award as Best Classical Vocal Performance in a Carnegie Hall concert. Garrett is renowned for connections with music of our time, having premiered more than 30 works. Other pianists at UNO: In September Julian Martin performs. He’s the winner of a Collaborative Prize at The Tchaikovsky International Competition in Moscow; founder of Spain’s Gijón International Piano Festival; and a member of the Juilliard and Peabody Conservatory faculties. Then in October South Korean-born Jason Kwak, now on the Texas State University faculty, with major credits internationally, takes over the keyboard. The following month Italy’s Enrico Elisi (“remarkable sensitivity, imagination and polish,” Baltimore Sun) is heard in a free Saturday afternoon recital. As for student performances, they’re non-stop across the calendar. Three each by Heartland Philharmonic and by the Symphonic Wind Ensembles. And there are four jazz group gatherings, as well as a visit in October by the Jazz Ambassadors of the U.S. Army Field Band, the 19-member official touring band of U.S. Army. If you’re planning to get out your own calendar and fill in the dates for when and where you’d like to hear this live music, consult the below for further details. Given the scores of events and who’s performing where all over this city, you may not be able to tell the players without a score card.